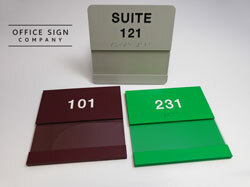 Hotel room number signs measure 3.5"W x 6.5"H (1/8" thick) and include a full color printed logo at the top, along with tactile text and grade 2 braille at the bottom. Not just for hotels, this sign acts as a stylish room number sign and also comes in full color. Add a logo and request demanding color options and color matching. 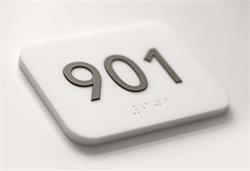 Available with a no smoking icon or really any design or addition you need for your door and room markers. Your imagination is the only limitation. 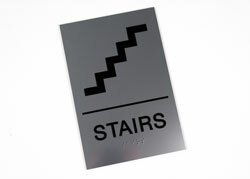 The logo at the top of the sign is printed flat on the substrate and the text and grade 2 braille at the bottom of the sign are raised in accordance with ADA guidelines. Personalize your sign - use (/) marks to indicate line breaks. 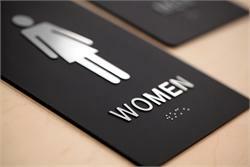 If your custom text does not meet ADA requirements, we will contact you. 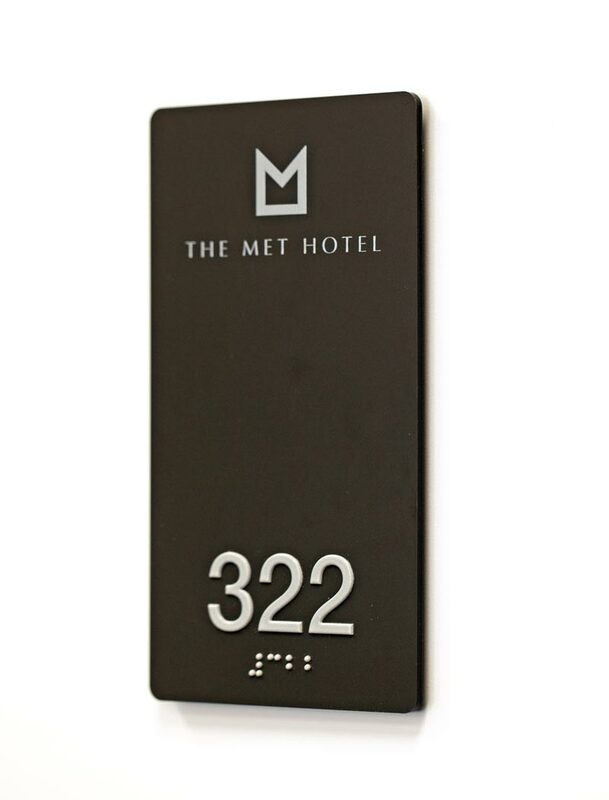 Crisp, Hotel-quality braille room number signs with tactile lettering are the perfect professional-looking solution for labeling all of the rooms in your school, hospital, clinic or apartment complex. Quantity discounts available. Order more and save. 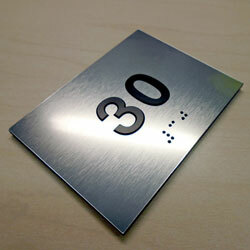 ADA braille room number signs with brushed metal finish and insert window are a great way to label conference rooms, classrooms, offices and more! 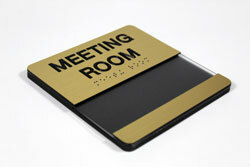 These comply with ADA regulations and include a slot for interchangeable custom messages.